We’ve all heard the rules – apply sunscreen each and every day and reapply every two hours. But how many of us actually do reapply throughout the day? I am pretty good about putting on sunscreen every day in the morning and even using a foundation with sunscreen as an added safety measure. But I admit that my struggle was that once I had a face of makeup on, I didn’t want to re-slather my face with sunscreen. Then I met powdered mineral sunscreen, and now reapplying sunscreen throughout the day is simple, fast, and, of course, doesn’t mess up my makeup. Here are three to try. First up, my personal favorite and the one that has helped me truly build a sunscreen re-application habit. 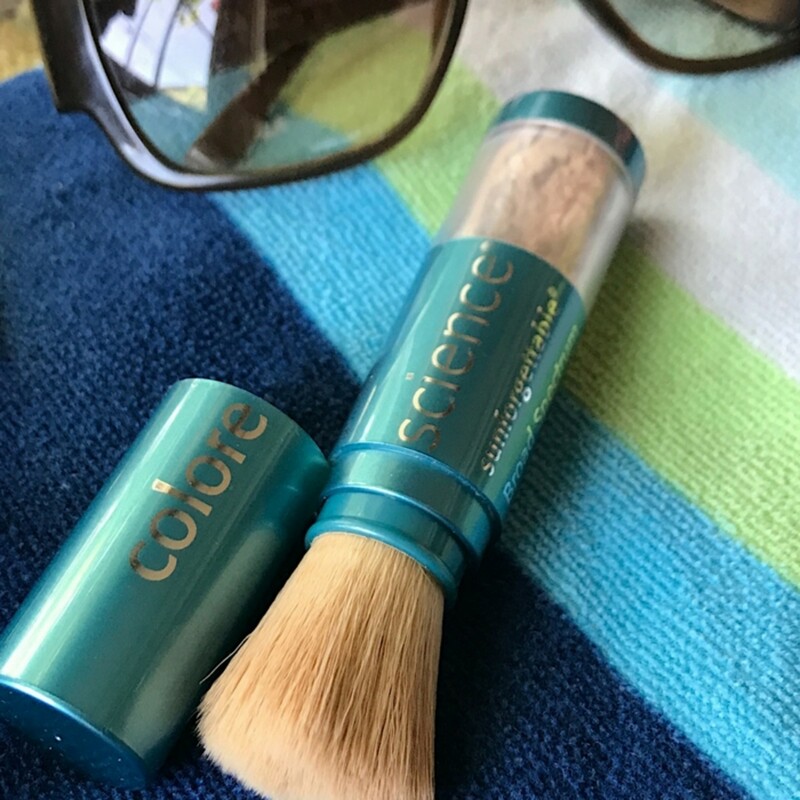 Colorescience says that their Sunforgettable delivers both “protection and perfection” since it provides SPF 50 in four different tints to choose from – fair, medium, tan and deep. The sunscreen is formulated with zinc oxide and titanium dioxide for sun protection and red algae which help protect the skin against environmental stresses. I love that this mineral powder is water-resistant, easy to apply, and provides just a hint of color to even out my skin tone and help battle summer shine without any chalkiness. I keep it in my purse for quick touch-ups throughout the summer day. 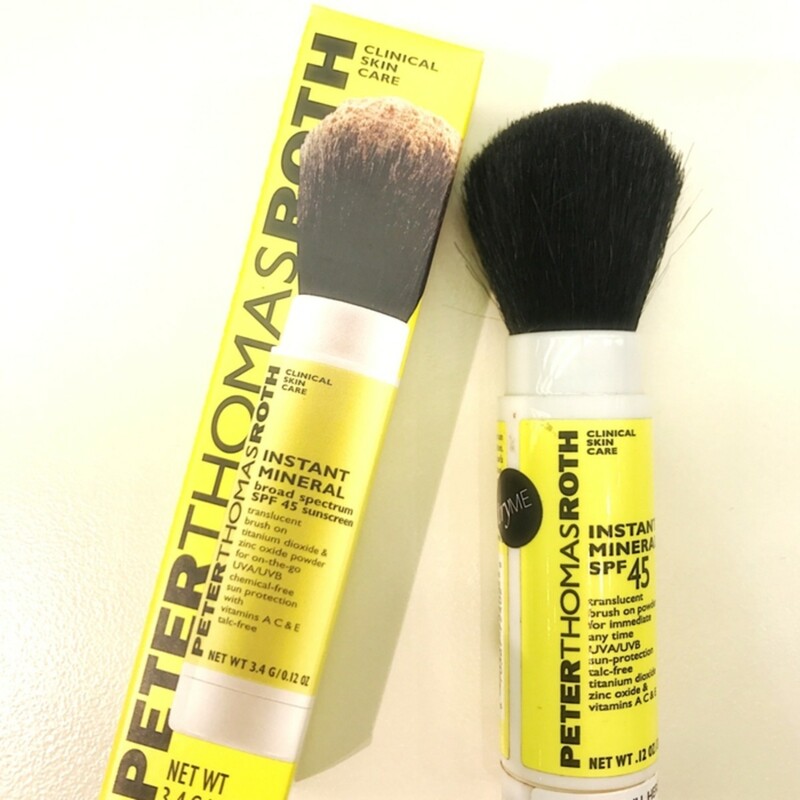 This mineral powder sunscreen by Peter Thomas Roth was the first one I tried. It’s talc-free and provides a transparent matte finish over your bare face or makeup. It’s cheaper than Colorescience one, but doesn’t provide the tint. 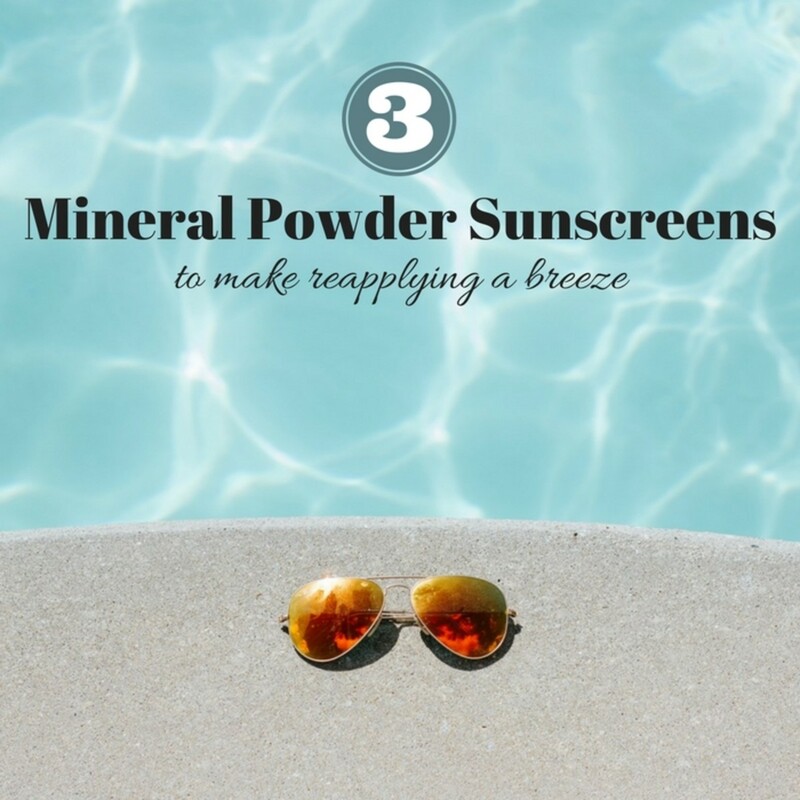 Still, it works effectively and is a good choice if you’re not so sure about mineral powder sunscreens but want to give them a try. 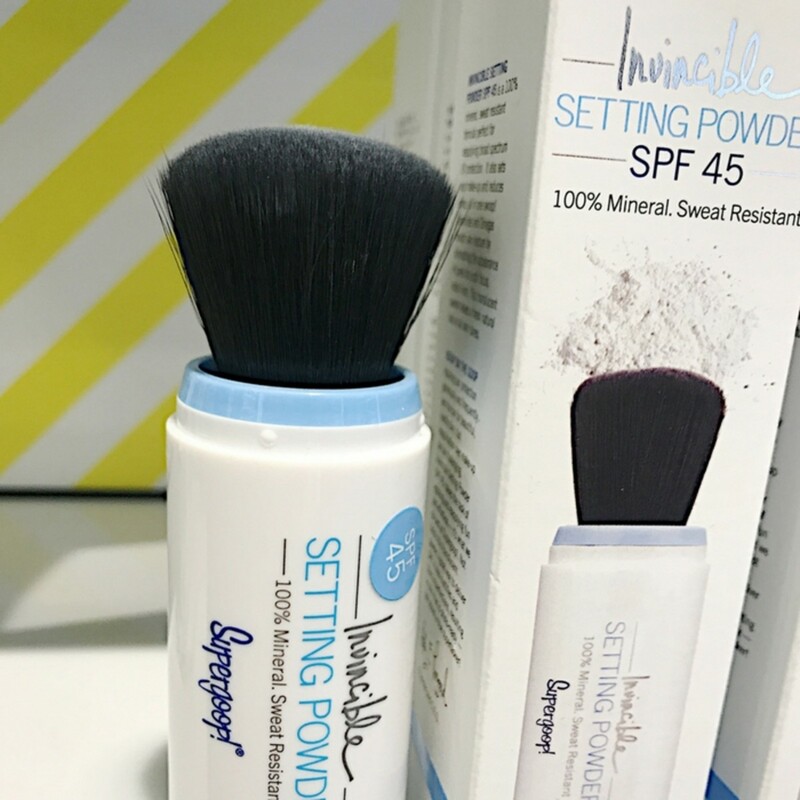 I’m a fan of Supergoop’s large pump sunscreens for making daily application easier and top-of-mind with kids, but I’m keeping their Invicinble Setting Powder sunscreen just for me. The translucent powder covers your skin with SPF 45 while helping to set your make up and reduce shine. SUpergoop’s version also includes ceramides to help smooth the skin texture and best of all, is refillable to cut down on waste. Refills are just $14. 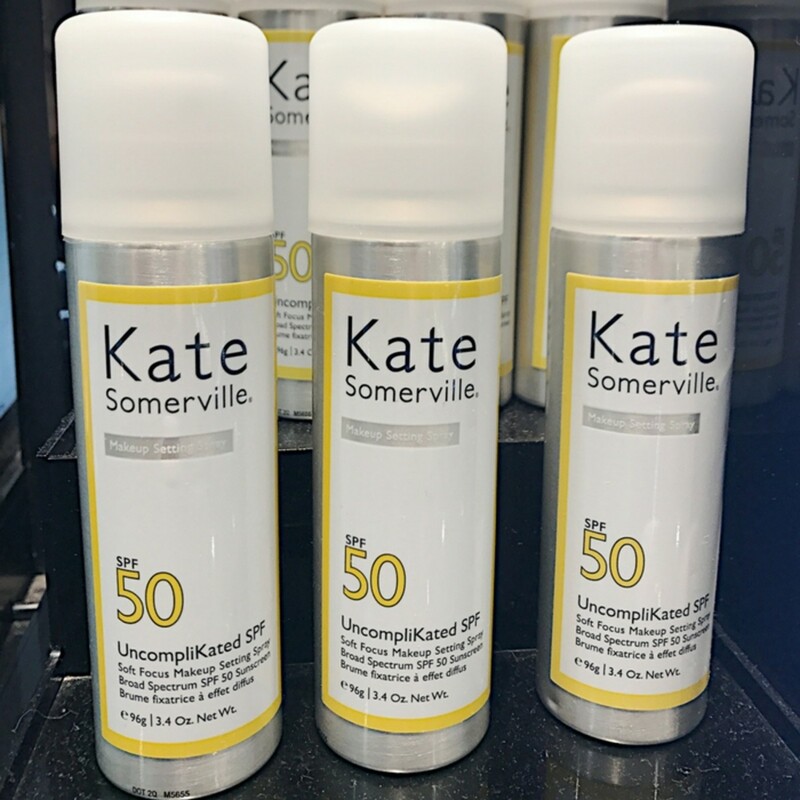 While this isn’t a mineral powder sunscreen, my latest trip to Sephora had me eyeing Kate Somerville UncompliKated SPF 50 Soft Focus Makeup Setting Spray. This is a combination sunscreen and finishing spray that gives UVA and UVB protection in a fine-mist aerosol spray. Just like the mineral powders, it can be applied directly on top of your makeup and dries quickly to set makeup, reduce shine, and provide a matte finish. In addition to the sun protection, the spray also contains hyaluronic acid which adds lightweight hydration to the skin and light-diffusing silicone powder to soften the appearance of lines and wrinkles. While I&apos;m tempted to try it, the bottle is definitely bigger than the mineral powders, so it&apos;s harder to stash in my purse and, also, since it&apos;s a spray, a bit more awkward to whip out at after-school school pick-up or the soccer game. 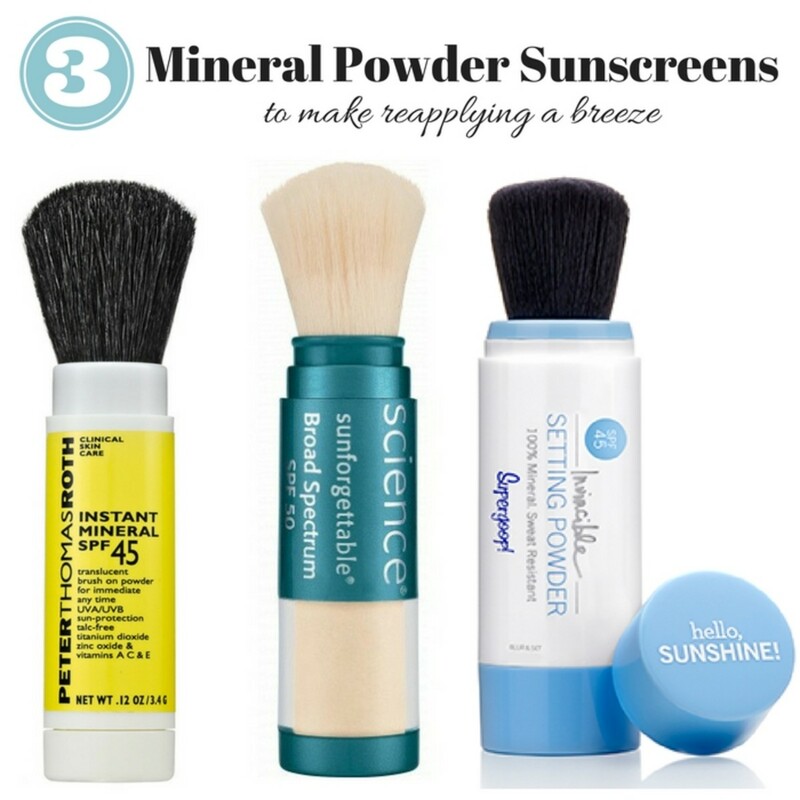 Have you tried a mineral powder sunscreen? Momtrends was not paid for this post. Affiliate links included.